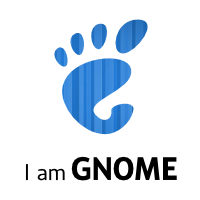 I’m happy, GNOME 3.0 is out! I still remember when in 2009 I heard about a plan to make the next GNOME version. I wanted to contribute and I met some great people that guide me on the best way to help in the effort, so I started to work in the Streamlining of the Platform part, trying to remove all the deprecated stuff. Also I started to work with the Bugsquad team, on GnomeGoals and then in GTK+3. And now GNOME 3.0 is finally here! Thanks to all the people that made this release possible! You all rock! If you are in Manchester, come to MadLab this Sunday at 14:00 for the GNOME 3 Launch Party! But! they are neither the majority, nor, generally able to communicate anything but basic urges, with any intellegence. 2) Have a growing vocal group that says, basically, you do and we leave, since there is no reasonable alternative. IT was able to easily be made “OURS”…. Take Firefox. The came out with the crap edition 4.0. You and Ubuntu are going Radical Dino on screwing it up… (WE SAY SO and YOU AIN’T Listening, because, you care only about kyewtsie gee-gaws and gay bar deco. Or have someone gin up one for Ubuntu 4.0 and you will steal the tide… guaranteed. BTW I came here, since I am willing to communicate, but, you and your organizations have shown an unwillingness to hear.